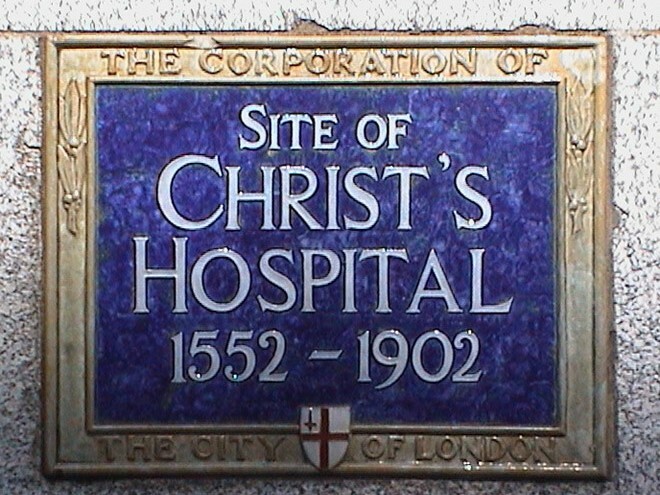 Christ's Hospital was founded to provide care and education for London's poor, who had nowhere to turn to after the dissolution of the monasteries. 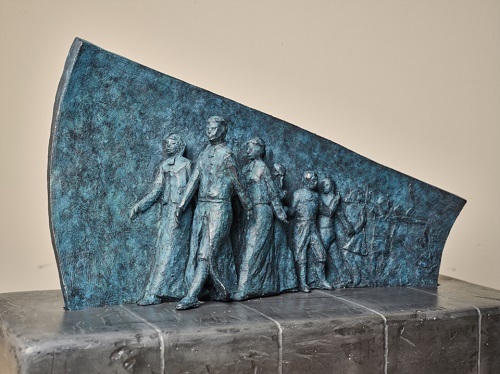 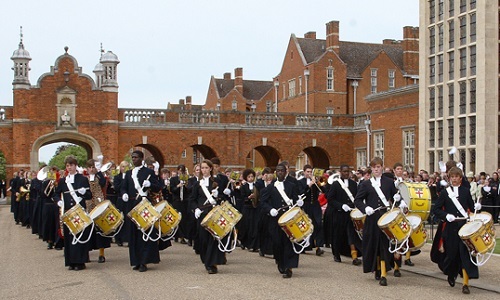 The school's Foundation still provides very significant financial assistance to the majority of student families who could otherwise never have considered an independent education for their children. 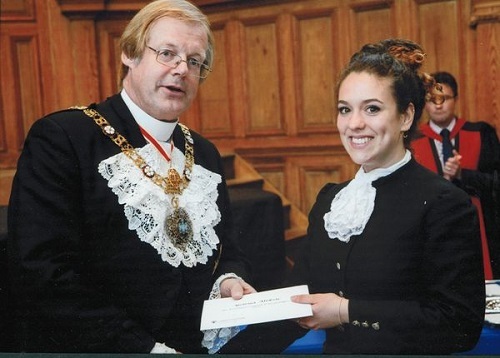 Christ's Hospital Lodge funds a bursary for deserving school leavers, which is presented by the Lord Mayor of London at Speech Day each year. 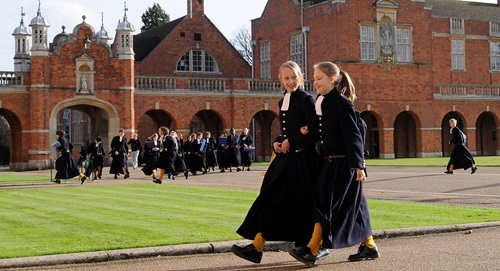 The School uniform is virtually unchanged since Edward VI granted Christ's Hospital its Royal Charter in 1553. 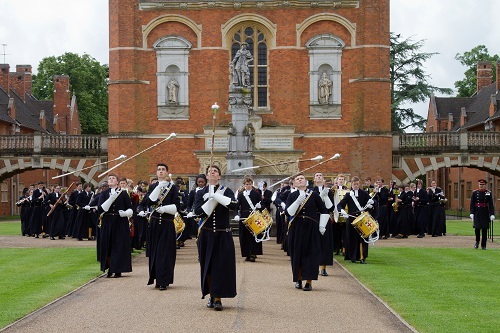 The boys wear long blue coats with Edward VI silver buttons, over white shirts and bands, knee-length breeches, yellow socks and black shoes. 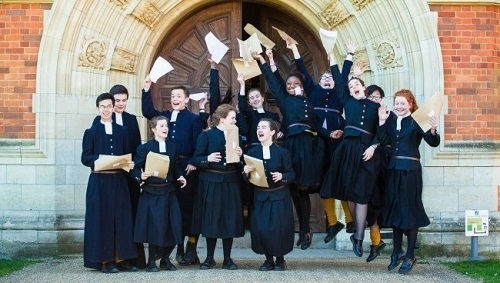 The girls' uniform was designed to complement that of the boys, with a pleated skirt in place of the breeches. 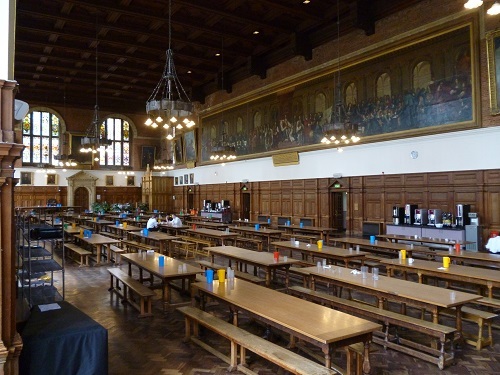 The School moved from Newgate Street in the City of London in 1902 into its current spacious surroundings in the Sussex countryside. 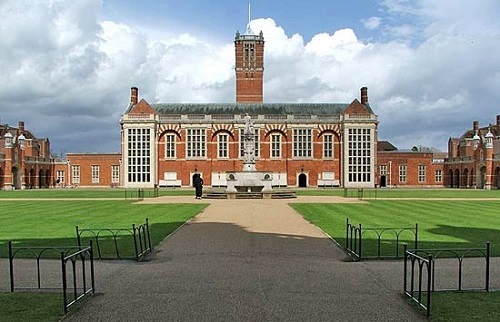 The new buildings at Christ's Hospital were designed by Aston Webb and Ingress Bell, architectural partners who had also designed the Cromwell Road frontage of the Victoria and Albert Museum in London. 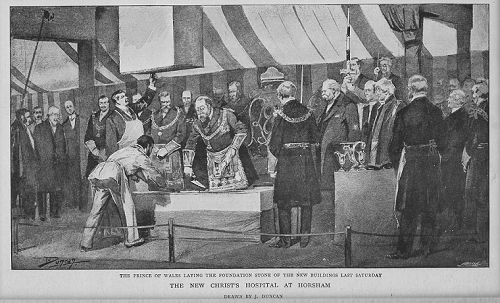 Several parts of the Newgate Street buildings were incorporated into the new site. 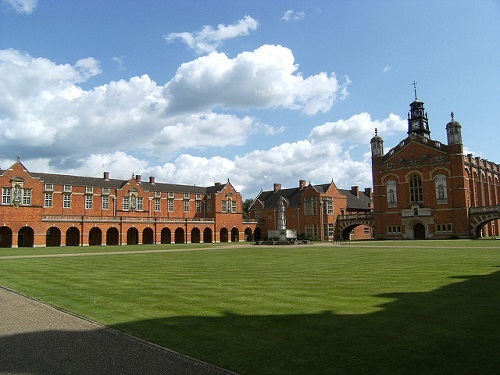 The main buildings are the Chapel, Big School and the Dining Hall. 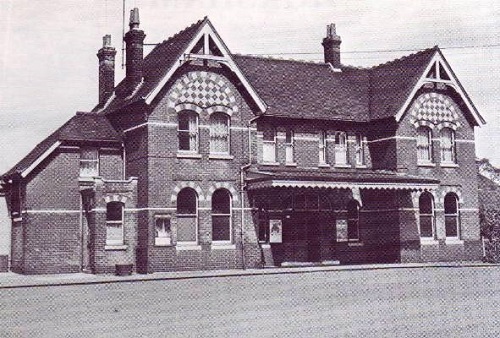 There has been much expansion over the years, but the overall architectural feel has been retained. 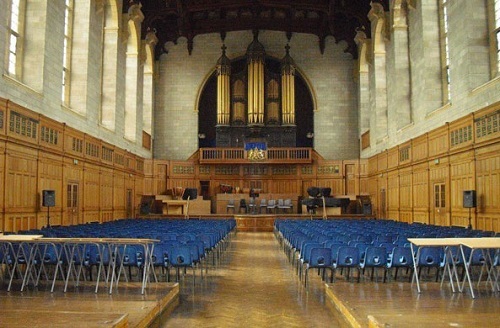 Music has an important role at the School. 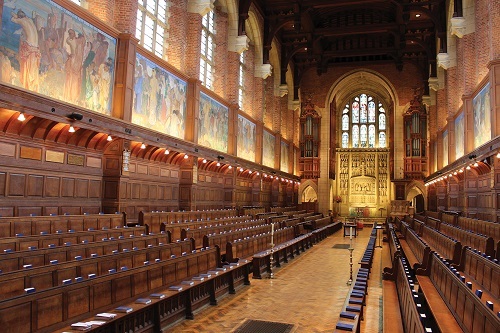 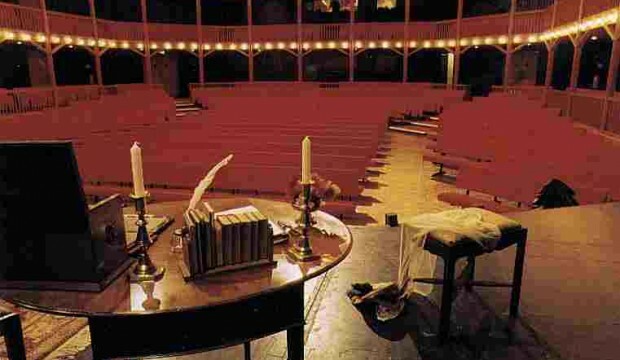 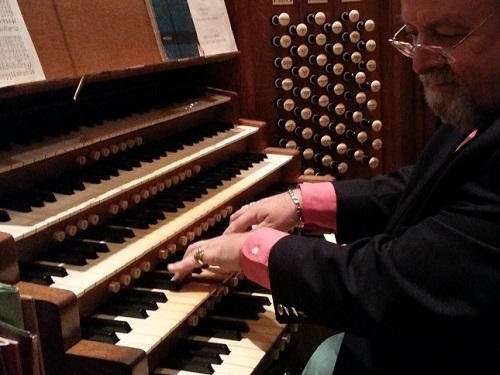 The Chapel, which can seat in excess of 850 people, is home to the 5-manual 1931 Rushworth and Dreaper organ. 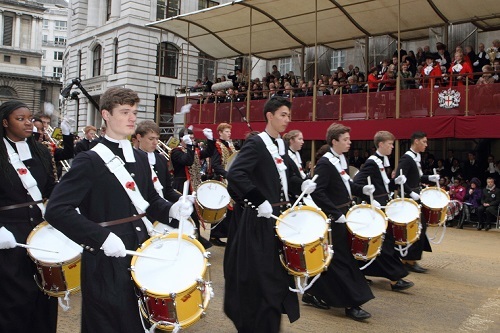 The School Band, which plays at lunch parade, is world-renowned, playing at Lords, Twickenham and at the annual St Matthew's Day parade in the City, as well as at venues further afield such as the Pasadena Rose Bowl in California. 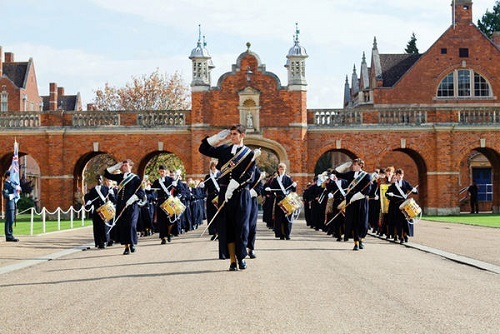 Christ's Hospital Lodge supports the Band and over the past several years has been funding the replacement of the Band's drums, as well as providing new drum-major sashes. 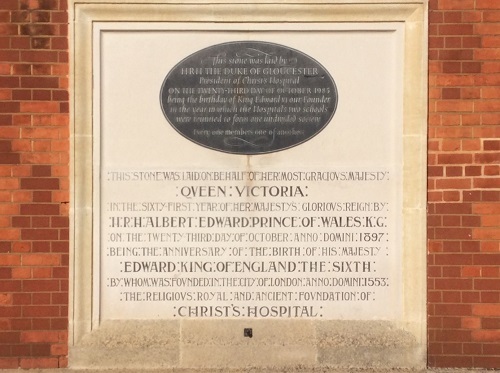 One Old Blue who contributed much to music at Christ's Hospital, and throughout his life, was David Mason. 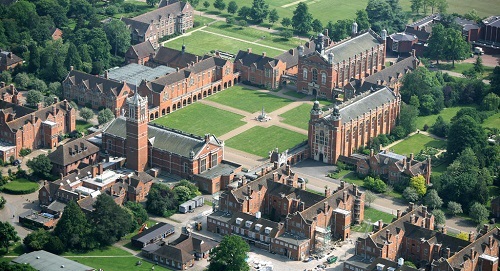 More information about Christ's Hospital may be found in this video (click to play) and elsewhere on the School's website.